As I mentioned in yesterday’s post, I’ve always been fascinated by miniature things. 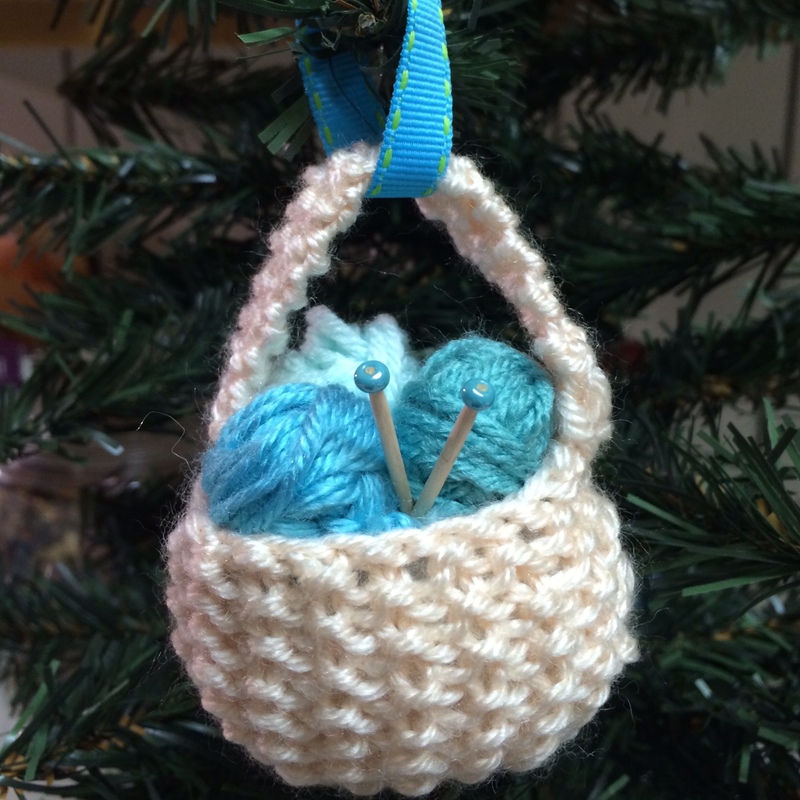 I also love knitting and all things related to yarn, so when I found this tiny yarn basket ornament, it seemed as if all my worlds were colliding! In a good way ;-). My grandmother (my mom’s mom) was an excellent knitter. I still have a couple of cardigans she made for me when I was a young adult. I certainly appreciated them then, but mostly because she made them for me, not because of the craftsmanship that went into them. These days, I admire them (and her) because I know what’s involving in constructing them. On our (my mom and I) last trip to Da’s (my grandpa), I brought home her button stash and recognized many of the buttons from cardigans she sent us over the years. I don’t know about you, but I love giving handmade gifts. Certainly there’s the personal joy I get from being able to make something, but equally there’s the joy I feel at being able to craft something specifically for that individual. It’s a precarious position you put yourself in though because not everybody enjoys ‘receiving’ handmade gifts. I’ve learned to be very selective over the years about what and who I make things for. There’s nothing better than spending hours on a project for someone you love and having them really appreciate your thoughtfulness and effort, AND there’s nothing worse than someone treating your gift as though you stepped out quickly to the store to purchase it when in reality your spent months creating it just for them. The greatest lesson I’ve learned in the handmade gift arena is: My desire to hand make gifts DOES NOT always equal people’s desire to receive handmade gifts! Proceed with caution! This little yarn basket was super easy to make. I used this pattern from Red Heart and was amazed at how quickly it knit up. I used scraps of colored yarn to make the tiny balls of yarn and took two beads and hot-glued them to toothpicks for the needles. So much fun! 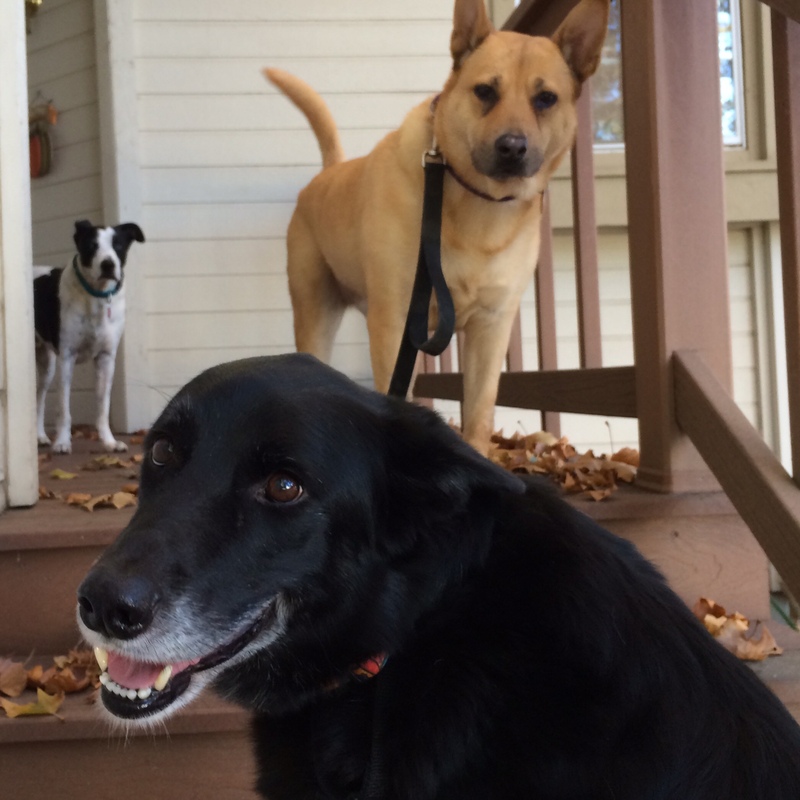 Item #42 – Put together a team for the local SPCA Doggie Dash in June, 2015. Every year our local SPCA has a 2k/5k run/walk called the Doggie Dash to raise funds for their programs. I’ve participated in the past as a volunteer and a walker, but this next year I’d like to put a team together of walkers/runners and their dogs to raise some much needed funds for this great organization. After all, they are the whole reason I have Woody and Ellie ;-). Question of the Day: What handmade gifts, if any, do you make at Christmas? Hey did we hear “Doggie” and “Dash” in the same sentence? When do we start training? 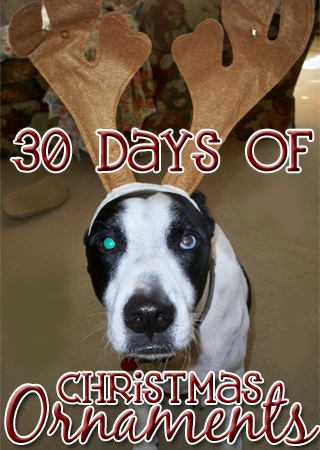 This entry was posted in 30 Days of Christmas Ornaments, Accountability, Challenges and Contests, Christmas, Decorating, Dogs, Exercise, Goals, Homemade, Knitting, Quest46, Yarn and tagged 30 Days of Christmas Ornaments, accountability, Challenges and Contests, Christmas, Dogs, exercise, goals, homemade, knitting, Quest46, yarn. Bookmark the permalink. I have grand ideas of homemade gifts, usually haven’t gotten past food items in reality though! I am OBSESSED with handmade gifts. I usually give people a lot of presents and I try to limit myself to two handmade things per person. I love painting canvases and wood and just a bunch of pinterest-esque crafts. I can’t sew but I want to make that yarn basket so much. 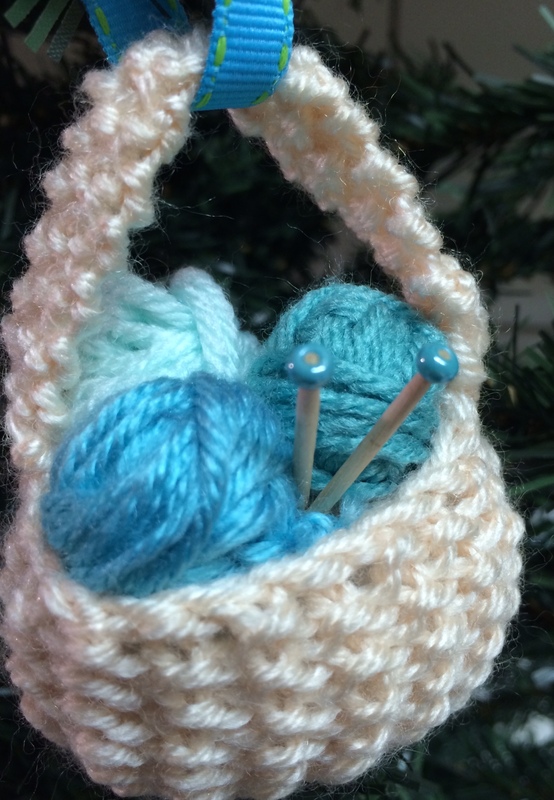 Maybe I can get a tiny wood basket at a craft store and make the balls of yarn. I love the idea of a tiny wood basket. 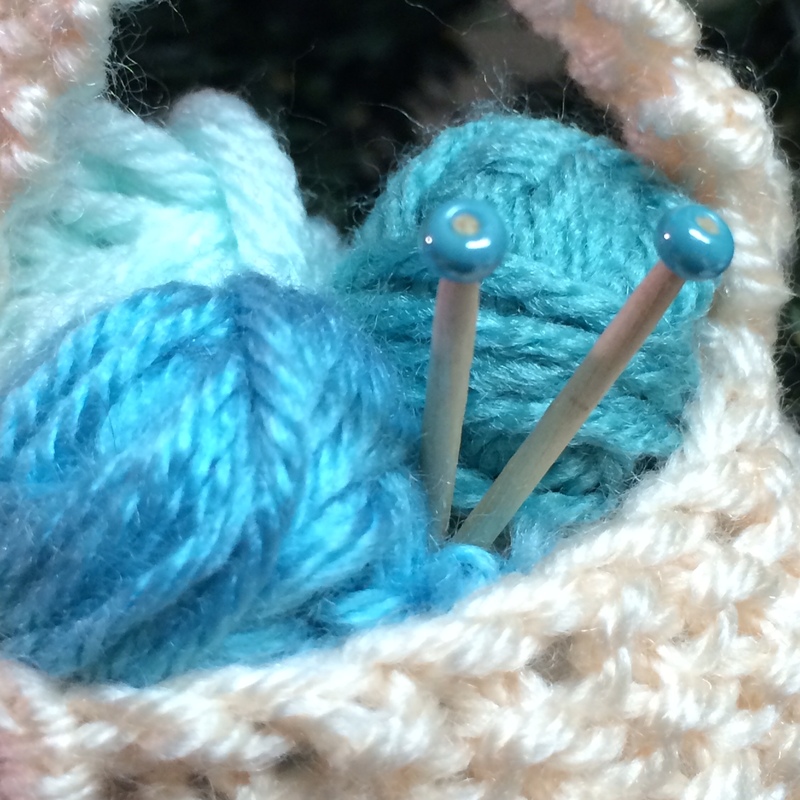 The balls of yarn were super easy to make and the needles were just toothpicks with beads glued on the end. What do your canvases look like? I’d love to see them. And I think sewing should be on your bucket list ;-). You’d love it! They’re just easy stuff to paint, my room is covered with them. I’ll email you a couple pictures! I actually wanted to learn but I think I looked up a tutorial and was super intimidated. Great. Can’t wait to see them. Sewing’s one of those things that can be super simple or super complex. Much like knitting or really any craft out there. You start with a basic straight stitch and go from there adding techniques as you get more confident. Sewing machines are great, but hand stitching is awesome also. This gal at http://wildolive.blogspot.com is awesome and has really good tutorials for hand stitching. I definitely want to learn some day! It would be awesome to make all this stuff. I really wanted to learn to sew clothes. I have made Rice Krispie Treats for my nephew and one year we made wall hangings for all the family. I have made Pepper Jelly, baked cookies, and knitted wash cloths, hats and scarves. This year several lucky ones are getting wash cloths again. I like to knitting or crocheting gifts, sometimes I bake fruit breads. When Jim and I were younger and “money leaner” we made lots of our Christmas presents… Jim did most of them, but I came up with some and helped as I could. Being an industrial arts teacher he was very creative and capable – clocks, match holders w/striker and candle, courting candles, boot jacks, boot scrapers, bud vases, etc – metal and wood projects. Last year I made each of our grandchildren individual coloring books from pictures we had taken of them on a car tour in Utah. You’re a couple of very thoughtful, talented people. Those baskets are a neat idea. No handmade gifts here. only bought gifts.